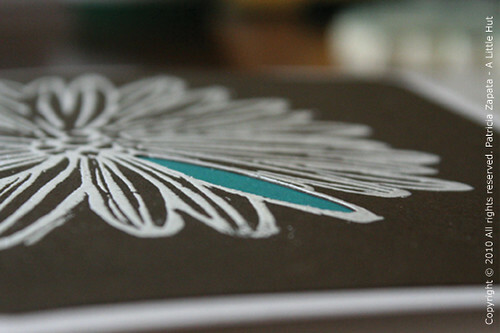 I've tried many things with paper, but heat embossing had not been one of them, until last weekend. A lovely person at Paper Source taught me the process. I couldn't help myself and bought the tools needed to try at home and this is my first attempt. 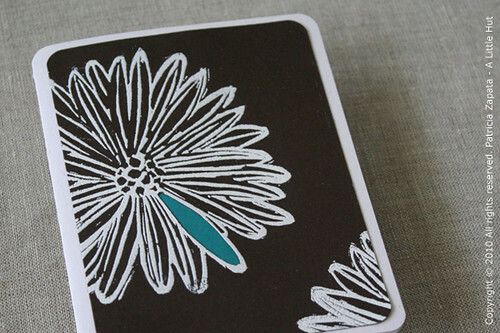 For this card I used my flower stamp—again (need to make a new one! 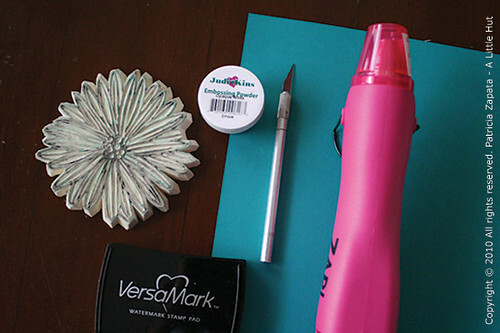 ), a heating tool, a VersaMark watermark stamp pad and opaque embossing powder. I cut out one of the petals so that a piece of the Peacock colored paper (new Paper Source color) would show through. While I worked on my card the kids worked on theirs. They made birthday cards for a friend's party that we'll be going to tomorrow. I will never get tired of watching them when they are tackling a crafty project. Never. 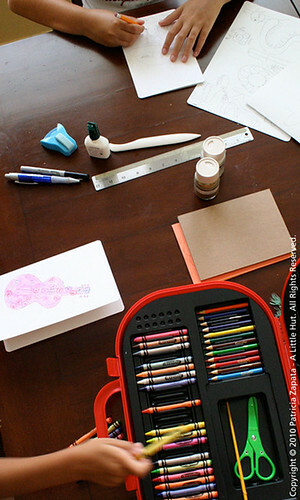 - Heat embossing tutorial: A video for those of you that may be interested in using these craft materials. - We Love Indie: A site for those of you in need of some eye candy.